Time: Check-in will begin at 8am on the 10th. Please print this form and have it ready the day of the event, along with the $25 per person/ $150 per team registration fee. Registration closes at 10am and the competition will begin at 11am. Teams will be starting at 20-minute intervals, so you will be assigned a start time at the registration table. What to Bring: This event is meant to encourage the development of whitewater safety skills. 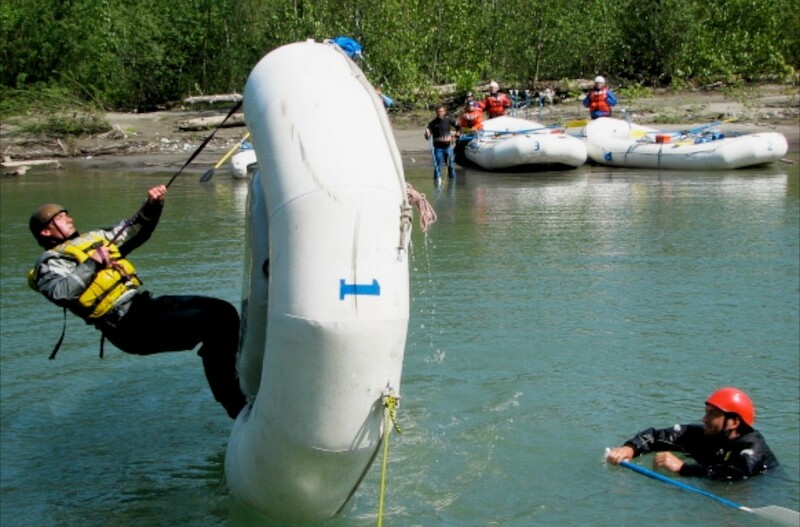 Although the course is on flat water and land, competitors are expected to wear appropriate river attire (i.e- helmets, PFDs and close toed shoes). 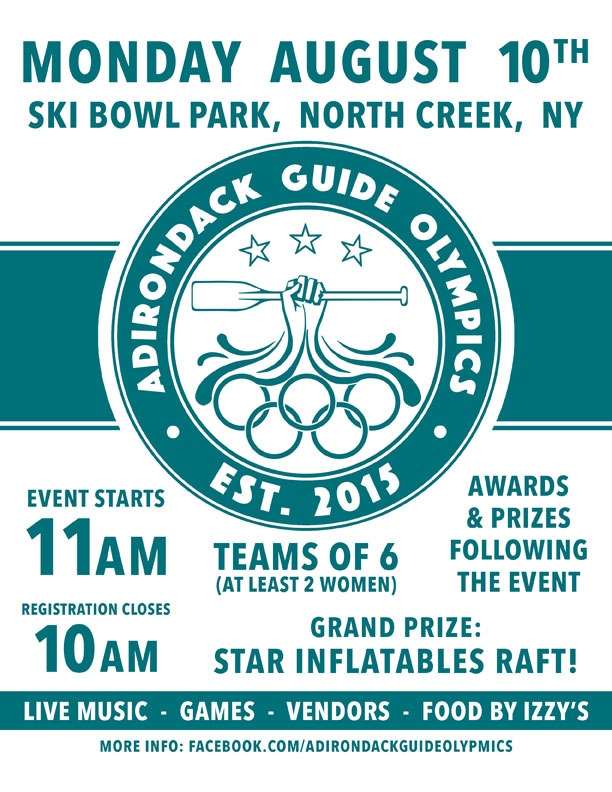 You will also need a two throw bags per team, a 14’ raft and paddles. Course: There will be a course walk through at 10:30 am. Expect to carry your raft long distances over uneven terrain in between stations. Please come with prior knowledge of single-shore foot entrapments, coil tosses with throw bags and set-up of Z-drags with a redirect. 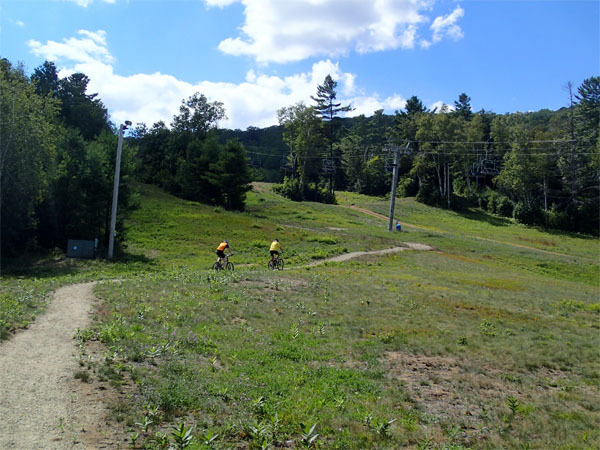 We want to prevent teams from overlapping on the course as much as possible, so prior knowledge is a must. We will provide all materials (rope, pulleys and carabiners) for the Z-drag. Awards: There will be an awards ceremony after all teams have finished. The overall fastest team will go home with the grand prize and smaller prizes will be awarded to second and third place teams. 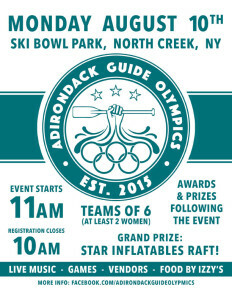 There will be a raft Tug O’ War with consolation prizes after the main event for any interested teams.